Police are appealing for witnesses to a crash in Saltdean on Friday which left two men with serious injuries. The collision between a white Ford Transit van and a black Yamaha 125cc motorcycle occurred on the A259 South Coast Road at around 4pm on Friday, January 5, police said. Police said the collision happened 45 metres east of the road’s junction with Bannings Vale and led to the motorcyclist, a 28-year-old man from Brighton, being taken by ambulance to the city’s Royal Sussex County Hospital with serious leg, chest and pelvic injuries. The driver of the van, a 50-year-old man from Portslade, was also taken to the RSCH for treatment to serious facial injuries, a police spokesman added. Anyone who saw what happened or who noticed either vehicle being driven shortly before the crash is asked to report details online or phone 101, quoting Operation Dalham. 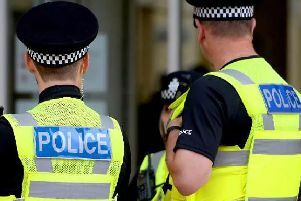 A 50-year-old man was arrested on suspicion of causing serious injury by dangerous driving and has since been released under investigation, police added.